Information and news about our driving lessons, including all the latest customer reviews!! Congratulations to Lauryn Cadera on passing her practical driving test today, 3rd October 2017. A great way to finish her driving lessons, Lauryn drove superbly passing her test at the 1st attempt and with just a couple of driver faults. Well done Lauryn - well deserved and happy to have helped you. Enjoy your new car, and thanks for choosing us for your driving lessons. Congratulations to Jack Jenkins who successfully passed his practical driving test today, 3rd October 2017. 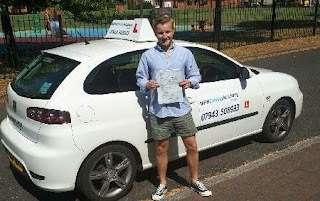 Jack came to us just a few weeks ago looking for some extra lessons to get him through his test and we did just that!! 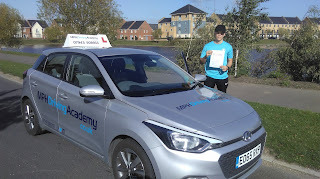 A great drive today Jack and a thoroughly deserved test pass. Well done mate. 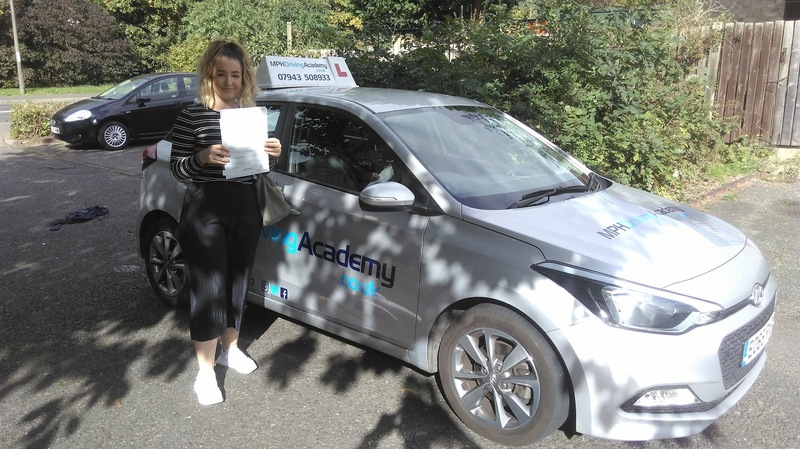 Congratulations to Leah Rutterford from Yaxley who completed her driving lessons today by passing her practical driving test. 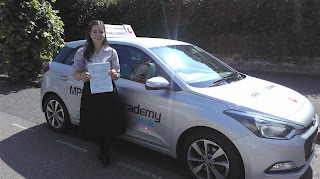 Leah produced a great drive to gain her full driving licence and now had the freedom to enjoy the rest of the summer!! 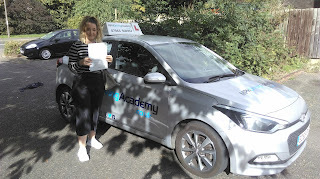 Congratulations Leah, best wishes from yourt driving instructor Caroline and all the team at the MPH Driving Academy. Best wishes for the future and thanks for choosing us for your driving lessons. 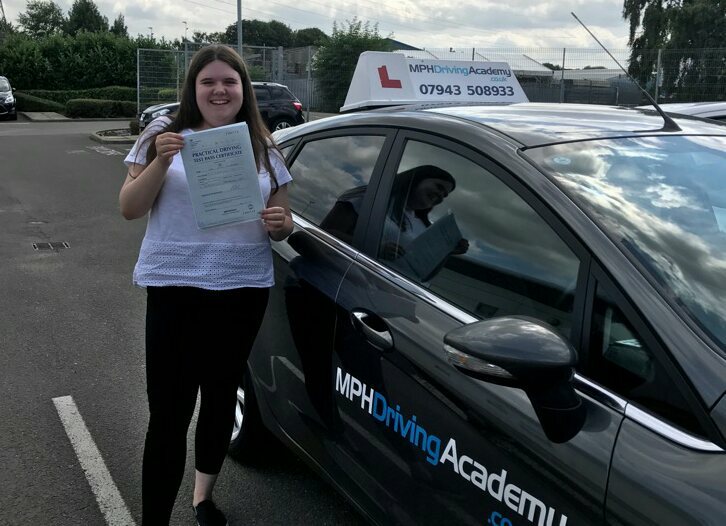 "I found out about MPH Driving Academy through word of mouth and decided to go with it because others had a positive experience learning here. I initially told Mark that I wanted to pass this summer and I could commit myself from June until September. Chris was my driving instructor - he was very calm and always pushed me to learn more; there wasn’t a lesson where I felt that I wasn’t learning anything. After around 15 hours of learning we booked the test and after 24 hours I passed. Chris told me he had previous experience in intensive courses and I feel that his expertise in this area allowed me to pass in the short time frame that I did. I recommend others looking to pass in this time frame to book with Chris at MPH Driving Academy". "Learning to drive with the MPH Driving Academy was such an amazing experience for me. They made learning to drive so fun and easy, I have genuinely loved every minute of it! I Would definitely recommend to everyone, Mark and the company ensured that I passed first time and I would 100% recommend them to everyone!" Congratulations to Peter Williams from Hampton Hargate Peterborough on an excellent 1st time practical driving test pass today, 6th July 2017. Peter only started his lessons one month ago and embarked on a semi-intensive course with our driving instructor Chris, making excellent progress throughout, culminating in today's brilliant pass. Well done Peter - enjoy the rest of the summer. Best wishes from your instructor Chris and all the team at the MPH Driving Academy, and thanks for choosing us for your driving lessons. Congratulations to Holly Grinnell from Glatton, Peterborough on an excellent 1st time practical driving test pass today (19th June 2017)! A slightly panicked start to the morning as Peterborough ground to a halt with numerous roadworks meant the usual pre-test drive wasn't quite as calm as I usually plan it. However Holly dealt with the situation and the nerves superbly, drove brilliantly and passed with ease with just a couple of driver faults. Well done Holly, best wishes for the future from myself and the team at the MPH Driving Academy.